Los Angeles Lakers legend Kobe Bryant would trade Lonzo Ball, Brandon Ingram and Kyle Kuzma (and others) in a heartbeat if it meant acquiring New Orleans Pelicans All Star Anthony Davis. "Kuzma, Lonzo, Ingram… are the three of them better than Anthony Davis? No! Ciao! Bye! Anthony Davis is one of the best players in the world. Not currently, in history. What are we talking about? If you can trade for Anthony Davis, you do it. If not, alright. We have three players who are very young and work hard. They're smart and they have to develop. 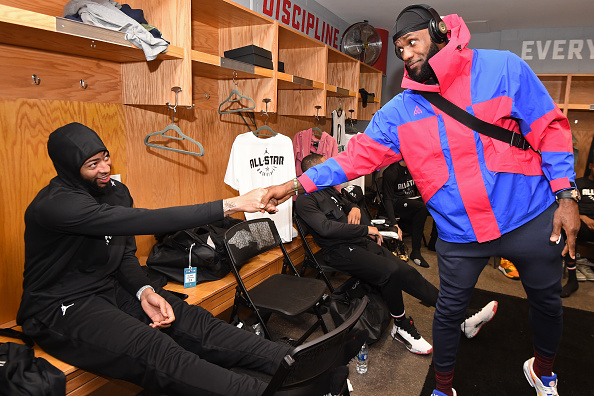 But if you can trade for Anthony Davis… yes!" Magic Johnson would have also, if the Pelicans had bit on his numerous trade offers, but New Orleans never seemed all that interested in the Lakers' package. Magic and co. had reportedly offered up Ball, Ingram and Kuzma, as well as Josh Hart and draft picks prior to the NBA's trade deadline in February. As we know, the Pelicans ultimately opted to keep Davis on the roster until this summer when the Boston Celtics, New York Knicks and other teams would be able to put together their best offer. Questlove Introduces Vegetarian Take On The "Philly Cheesesteak"